Type 2 diabetes is on the rise. More people than ever are diagnosed every day and more people are at risk. If this trend continues and nothing changes more than 5 million people in the UK will have diabetes by 2025. During my first pregnancy when I was about 24 weeks pregnant I was invited to have a glucose tolerance test. Being overweight with a high BMI and suffering from Polycystic Ovary Syndrome (gestational diabetes and type 2 diabetes is common in women suffering from PCOS) I was deemed at risk of developing gestational diabetes. After fasting overnight I had to go to my local hospital to have the test where I had a blood sample taken to see my blood sugar levels after fasting then I to drink a vivid orange sugary drink containing glucose. This followed a long two hour wait where I had to sit and rest. It felt like an age and as I was still suffering from morning - or as I liked to call it 24/7 - sickness I feel rubbish and wanted to be curled up at home. After two hours I had another blood sample taken which would be compared with my first blood sample. A couple of days later I received a phone call from the hospital diabetic team to say I had been diagnosed with gestational diabetes. Thankfully I managed to control my blood sugar levels via a healthy diet and exercise. I had to check my blood sugar levels numerous times a day with a diabetes test kit, have a few more antenatal scans than I would have had and extra appointments at the hospital with the diabetic team to monitor my gestational diabetes. The pregnancy went well and I gave birth naturally to my first born, a beautiful baby boy on his due date. As I had suffered from gestational diabetes I was encouraged to have extra monitoring during labour and my newborn son had to have his blood sugar levels checked after birth to ensure they were not too low which sometimes they can be with newborns born to mums suffering from gestational diabetes. Fast forward a few years and I was pregnant again with my second child. As I still had a high BMI and had suffered from gestational diabetes during my first pregnancy I was invited to have a glucose tolerance test early at 16 weeks. This test came back normal. 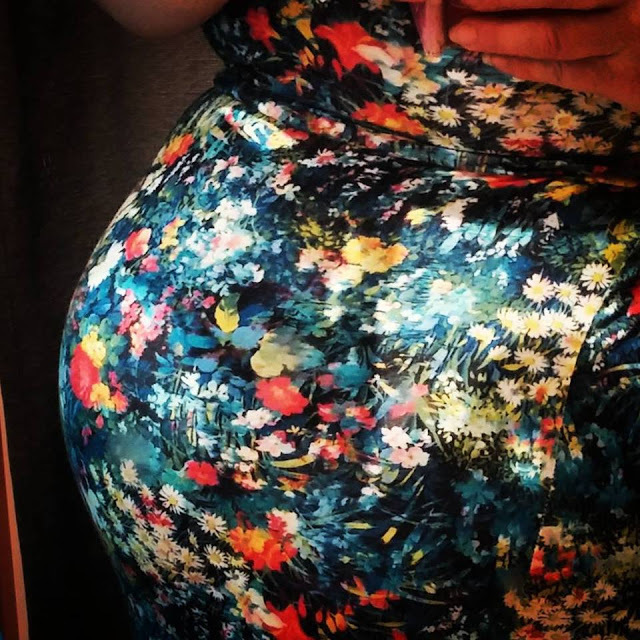 As I was still high risk I had a repeat test done at about 24 weeks but again it came back as normal and that during this pregnancy I did not have gestational diabetes. The pregnancy went well and I had my second beautiful boy a few days before his due date. As I suffered from gestational diabetes during one pregnancy, have PCOS and unfortunately have a high BMI and am considered obese my risk of developing type 2 diabetes at some point in my life was high. Even though I have always watched what I eat, exercise regularly and try to lose weight - thanks PCOS for making that difficult - I had not taken the threat of diabetes as seriously as I could have. In hindsight I wish I had done more. At the beginning of this year following routine blood test my GP rang to say my Hba1c blood test showed I was suffering from type 2 diabetes. Another test 2 weeks after the first was done to ensure the first test was not a blip but unfortunately it again highlighted the fact that I have type 2 diabetes. Hearing the news was upsetting. Even though I knew I could develop it at some point in my life, knowing that I am a type 2 diabetic now in my early 30s was a shock. A few tears were shed and worry of worst case scenarios of loss of sight and amputations ran through my head. It was a lot to take in. 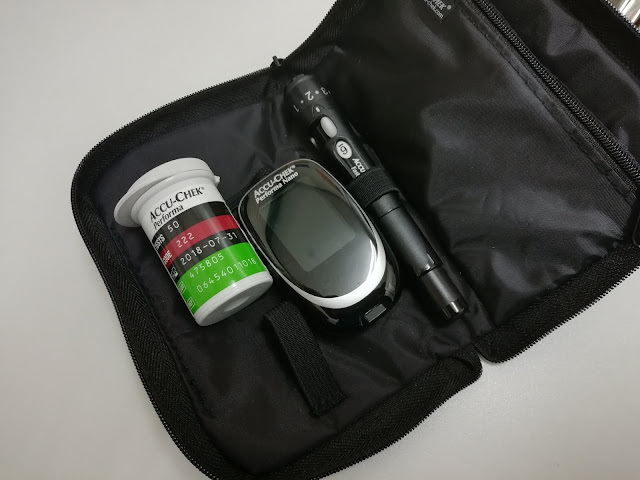 Even though I had experience of dealing with blood sugar levels and adapting my diet, exercise and overall lifestyle from when I had gestational diabetes it was still a time of whirlwind emotions and a wealth of new information to absorb. After an appointment with the Chronic Disease Management nurse I was prescribed 500mg modified release Metformin tablets to be taken two twice a day. With my mama bear instincts kicking in I decided to shrug off the worry, what ifs and worst case scenarios and do everything in my power to control my blood sugar levels in the hope of hitting normal ranges to be as healthy as I can be so that I can grow old and watch my children develop and grow into the lovely adults that I imagine they will be when they are older. I cut out all junk food, said goodbye to processed sugar, banished fizzy drinks, limited natural sugars, introduced a low carb diet, upped my physical activity and welcomed a regular exercise routine, closely watched my portion sizes and increased the amount of water I drink. With a few weeks I felt healthier and stronger. And whilst I still have a long way to go in 4 months I have lost 2 stone. 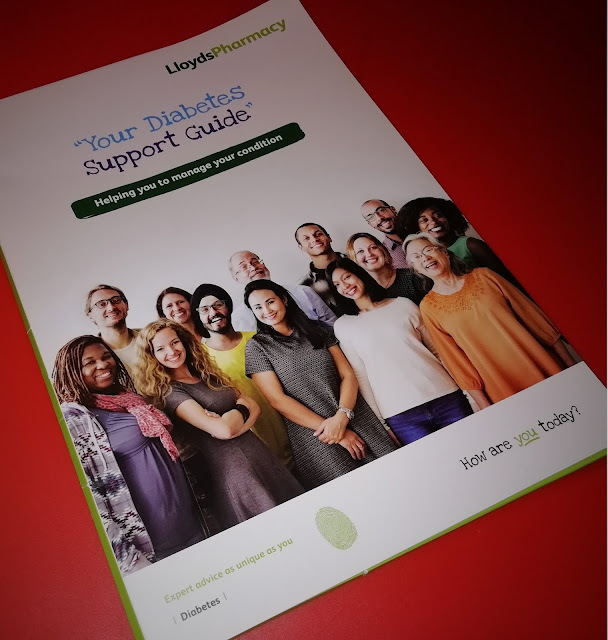 With a recent type 2 diagnosis and a passion to control it and not let diabetes control me, when LloydsPharmacy got in touch about their campaign to raise awareness of type 2 diabetes I was happy to be involved. The campaign aims to highlight their FREE type 2 diabetes screening and the support and advice they can offer to those at risk as well as those who are already diagnosed with type 2 diabetes. To experience the services that LloydsPharmacy offers I had an appointment booked at my local LloydsPharmacy. 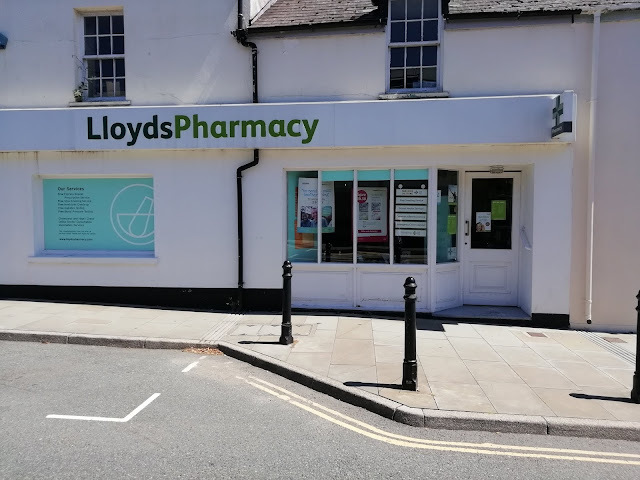 Helpfully appointments are not necessary for those wanting to use the services that LloydsPharmacy and you can often just walk in to your local store. 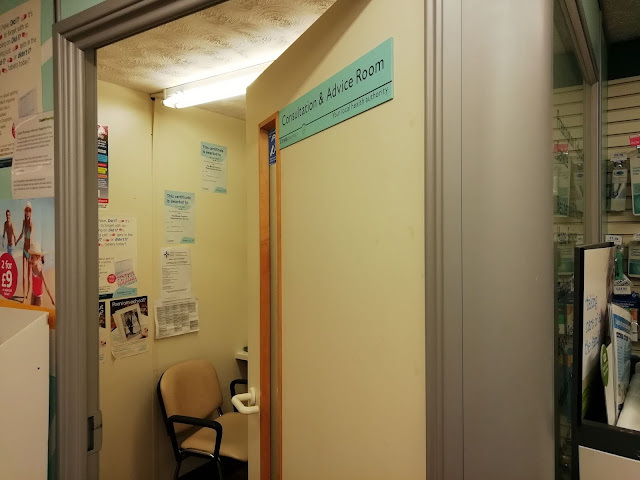 Upon arriving at the pharmacy I was taken into a private consultation and advice room to have a series of tests and a consultation to provide advice regarding my type 2 diabetes. During my visit I had a blood pressure test, medicines check up and a random blood glucose test. Before the free blood pressure test the member of staff asked a series of questions covering my medical history, lifestyle and family history. Questions included if I have ever had a stroke, smoking status and if I have a family history of heart disease. My BMI was also calculated by looking at my height and weight. Embarrassingly but something I am unfortunately well aware of already my BMI is WAY too high and classifies me as obese. After documenting my answers I had my blood pressure taken twice. It was quick and painless, with the member of staff using a similar type of blood pressure monitor as the nurses use at my doctors surgery. Worryingly both times it highlighted that my blood pressure was a touch too high. 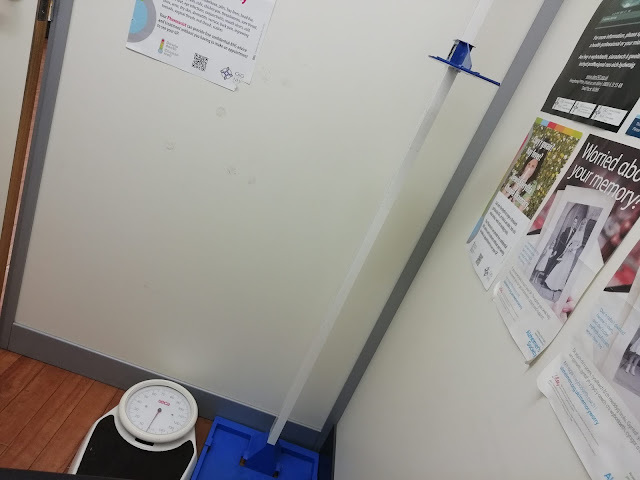 As the room was very hot (I am not good with heat and the recent spate of hot weather is taking its toll on me) and I had just briskly walked to the pharmacy after rushing to drop off my son at childcare they decided to let me rest for a few minutes and check my blood pressure again. The third time showed my blood pressure had decrease a little with my systolic measurement being within normal range but the diastolic measurement still being a little too high. All three results created an average blood pressure result that put me in the amber category. With the blood pressure test result showing me at risk of high blood pressure the pharmacist suggested a follow up visit to check blood pressure again in 7 days. She informed me that customers whose blood pressure results are higher especially in the red category are advised to go to their GP or if extremely high to the local hospital. The pharmacist was very thorough and informative, telling me what the different results meant and what systolic and diastolic measurements are. All of this was very interesting and hearing about the different actions they suggest was encouraging that they provide a very professional and caring service. 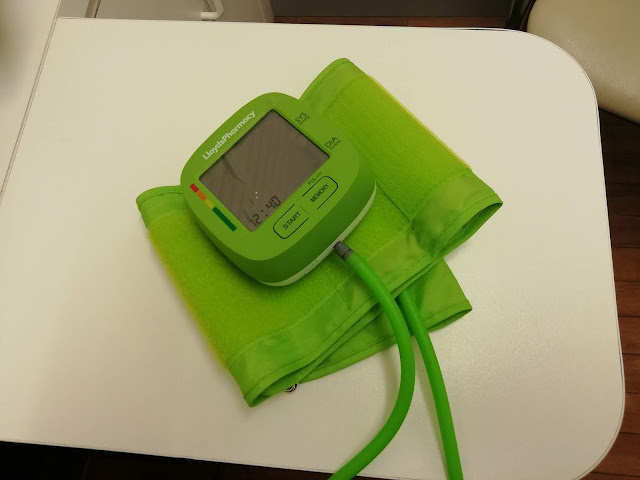 Thankfully in the days following the appointment I had my blood pressure taken at my diabetic review and at a hospital appointment with both results being very good and within normal (green) range. But knowing I can have my blood pressure tested for free at a LloydsPharmacy is useful to know and reassuring. Since being diagnosed with type 2 diabetes I have been on medication - Metformin - to help stabilize my blood sugars. This is the only medication that I am currently taking. LloydsPharmacy offers customers a free medicine check-up service which I experienced during my appointment. The pharmacist asked what medication I was was currently prescribed and discussed if I knew why I was using that medicine. We also talked about side effects and whether the medicine was still appropriate for my condition. The medicine check-up service also offered an opportunity for me to ask any questions I may have regarding my medication. The service was informative and knowing I was getting the advice and help of a professional experienced with medication was very helpful and put my mind at ease about my medication. 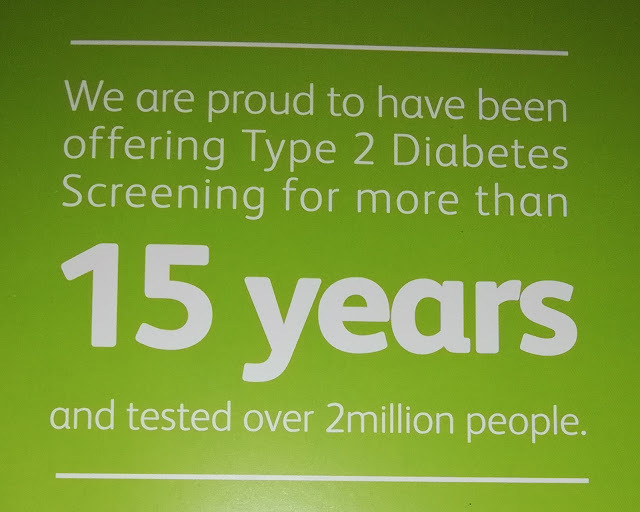 Even though I have been diagnosed with type 2 diabetes so that I could experience the free diabetes testing service that LloydsPharmacy offer I had the test myself. To begin with the pharmacist asked me a series of questions which included BMI and waist circumference as part of a diabetes risk assessment. Customers who score under 12 are deemed low risk of developing diabetes and those who score 12 or more are at risk and are invited to have a random blood glucose test to determine the likelihood that they are suffering from diabetes. 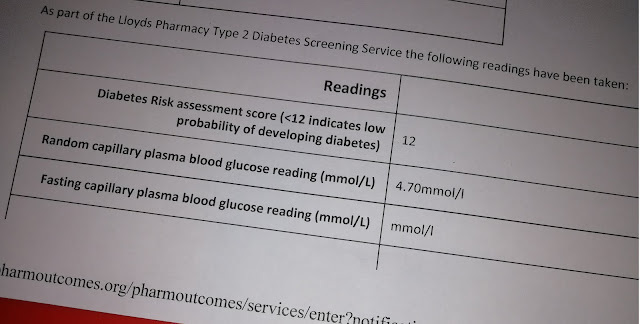 I was informed that if the customer has a random blood glucose test result higher than 6.1mmol/L they would get invited to return to the pharmacy for a fasting blood glucose test which if came back higher than 6.1mmol/L they would be advised to see their GP for further testing to investigate if they are pre-diabetic or diabetic. I scored 12 which would have deemed me suitable for a blood glucose test. The pharmacist prepared the area ready to administer the finger prick blood glucose test, getting the accu-chek blood glucose monitor, finger pricker and test strip to hand and ensuring there was a yellow hazard waste bag to dispose of blood stained wipes/cotton wool and test strips and a yellow sharp box for the lancing needles. After using a finger pricker to prick my finger she wiped away the initial blood to prevent sweat or any residue on my fingers contaminating the blood and gently squeezed out a drop of blood which she dipped the test trip on the accu-chek blood glucose monitor into. The whole process was quick and painless and the pharmacist was very efficient and professional administering the test. Even though I am aware that I am a type 2 diabetic it was still a little daunting waiting those 5 seconds to see what the result would show. 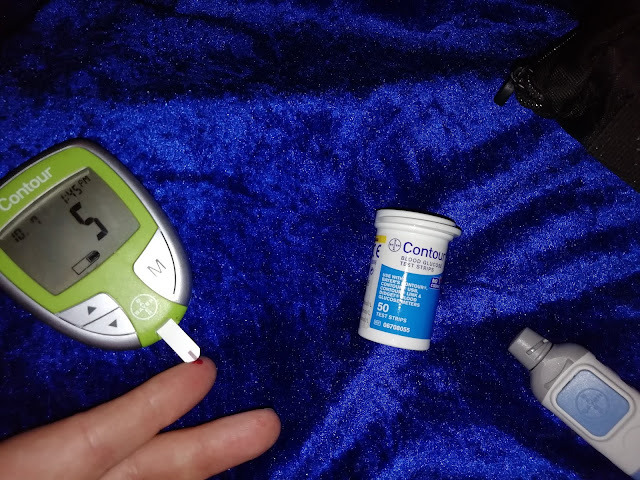 Since being diagnosed this was the first blood glucose test I have had which would give me a little insight into how well I am controlling and lowering my blood glucose levels. The pharmacist did warn me that it in all likelihood it would be higher than 6.1mmol/L as I had eaten about 90 minutes before the appointment however much to my delight the result showed my random blood glucose as being 4.7mmol/L. I found the overall experience of visiting a LloydsPharmacy for testing and advice very helpful and beneficial. The service provided was friendly, professional and informative. I would encourage anyone to visit a LloydsPharmacy to make use of the amazing service they provide especially the free diabetes screening service. 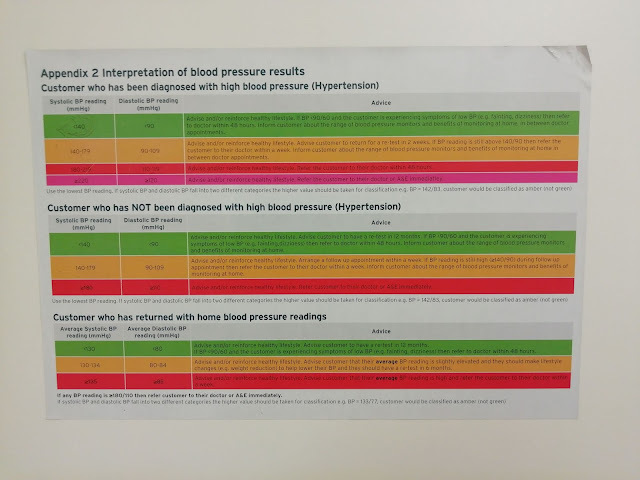 As well as the testing and advice given in store I was also provided with a print out of my test results (useful to show my GP if needed) which also highlighted the advice given to me from the pharmacist during the appointment. I was also given a Diabetes Support Guide brimming with expert advice on how to manage the condition. 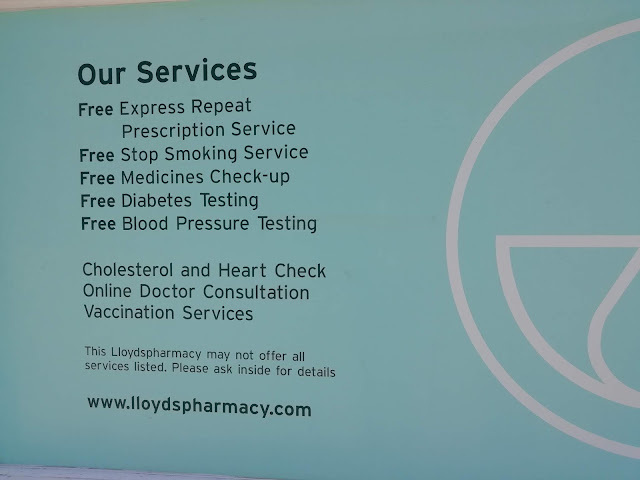 Not only do LloydsPharmacy offer the services that I experienced - free blood pressure testing, free diabetes testing and free medicine check-up - but they also a range of other services too. At selected pharmacies for a small fee you can also have a cholesterol and heart check. After the tears and worry upon initial diagnosis I have tried to think of being diagnosed as a benefit as it has given me then spark I needed to make huge changes in my life to be healthier. Even though the past few months have gone well, having lost weight and feeling healthier until I had my diabetic review and results of my latest hba1c test I had no indication of whether things were going truly well and whether I was successful in lowering my blood glucose levels. Following my appointment at LloydsPharmacy I have had my first diabetic review and I am over the moon that my hba1c result has gone from 61 at diagnosis (diabetic) to 39 (normal). Even though I am still a diabetic and always will be at the moment my blood sugar levels are controlled in the normal range, some would call it being in remission, I just think yay I am delighted! Even though it sounds like common sense increasing the amount of physical exercise you do and ensuring you exercise on a regular basis can make the world of difference and it helps lower blood sugar levels. Exercise does not have to equal hours at the gym unless you want it to as long as you are moving more than what you were before you are heading in the right direction. Finding a form of exercise you enjoy whether that is walking, swimming, exercising in the gym or a fitness class will mean you are more likely to stick to it. Obviously looking at your sugar intake is an amazing first step in controlling blood glucose levels but you also need to take into account the amount of carbohydrates you eat too. Whilst carbs are a good source of energy your body turns carbs into sugars which can have an effect on your blood sugar levels. Watching portion sizes especially with carbs is wise (low carb diet) and if you are eating carbs switch things like white breads and pasta to wholemeal and wholegrain options. Also cook from scratch as the amount of sugar in convenience and pre-made products such as cooking sauces is surprisingly high. Try to eat regularly as missing meals can make your body release glucose which will increase your blood sugar levels. Try to look after yourself inside and out, physically and emotionally. Stress can increase blood sugar levels so ensure you give yourself some TLC and relaxation. As footcare is vital for diabetics make sure to give them some TLC, try to keep them healthy and watch dry skin and any injuries. If prescribed medication for your diabetes ensure to take them as prescribed. Also ensure you attend diabetic review appointments, annual foot checks and annual diabetic eye screening. 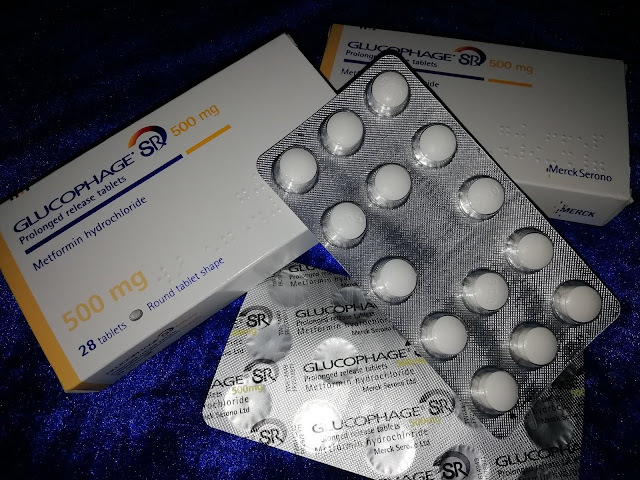 If you check your blood glucose levels with a monitor and find you have a low reading which could indicate a hypo (under 4mmol/L) treat with a glucose tablet and then retest, if it is still low or decreasing further seek medical advice likewise if your reading is high (above 20mmol/L) seek medical advice. With type 2 diabetics accounting for 90% of those suffering from diabetes, 4.6 million people in the UK are currently living with diabetes and a whopping 1.1 million people in the UK living with undiagnosed diabetes I think it is amazing that LloydsPharmacy are offering diabetes screening for free and are championing helpful advice for those at risk and those living with type 2 diabetes. If you are worried you are at risk of developing type 2 diabetes head to your local store to take advantage of their free diabetes testing service. For further information about the service that LloydsPharmacy provide and helpful advice on a variety of conditions check out the LloydsPharmacy website. Plus keep an eye out for the LloydsPharmacy roadshows where people can test their risk of developing type 2 diabetes free of charge across the UK!! Find out when and where the roadshow will be helping people here.